For the 53rd running of the Macau Grand Prix, the auguries were not exactly auspicious. The WTCC boys had been less than neat and tidy and both of their races had required yellow flags or a Safety Car period in order to clear the debris (in many cases in the shape of Seats, BMWs, Chevrolets and the like) from the middle of Lisboa Bend. It was to be hoped that the Lion Dance performed at the start might go some way to propitiating the Gods and we'd get a clean race. Not a chance! It looked good initially. Kamui Kobayashi (ASM Formule 3) and Marko Asmer (Hitech Racing) both made good starts, and Asmer grabbed the lead at Mandarin Bend. 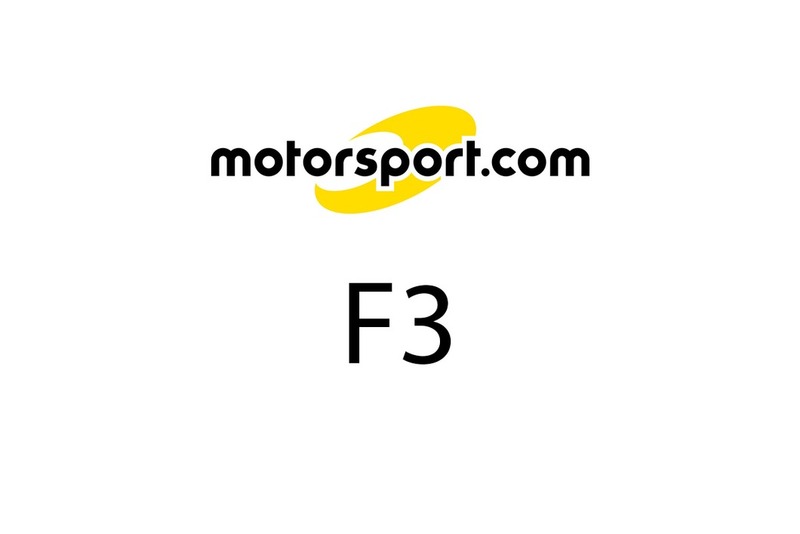 However, at Lisboa, Kobayashi made a dive up the inside, and Paul di Resta (ASM Formule 3) tried to go with him. Kobayashi out-braked himself and hit the barriers on the exit to the corner, while di Resta ran into the Japanese's gearbox, and Asmer was trapped on the escape road. None of them could extricate themselves before the rest of the pack arrived, a grateful Mike Conway (Raikkonen Robertson Racing) inheriting the lead to his own surprise. He didn't need a second invitation however, powering away round the back of the circuit and leaving Kohei Hirate (Manor Motorsport) to wonder what just happened. 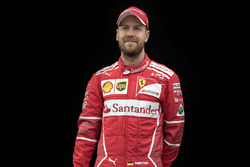 Further down the order, Sebastian Vettel (Carlin Motorsport) had started dead last from a field of 32 drivers, the team having changed the engine in his car after his disastrous qualifying race. It meant he lost about three places on the grid but really, when you're that far back it really makes very little difference. Anyway, when the race started he didn't stay there for very long. He was on the move before the lights ever went to green, and could be seen streaking up the middle of the field. The fact that he gained 12 places on that first lap tells you pretty much all you need to know, really. Afterwards, he claimed it wasn't him - it was the Pace Car. Anyway, any progress that anyone was making came to an abrupt halt before the race was a lap old. Di Resta, recovering from his Lisboa off, hit the wall on the run up to the Melco Hairpin. Meanwhile, Charlie Kimball (Signature Plus) glanced off the Armco at Mandarin Bend., wobbled a bit but then collected himself, while Rodolfo Avila (Performance Racing) and Maximo Cortes (Hitech Racing) both crashed out. Further up the order, Kazuki Nakajima (Manor Motorsport) had a go at his team-mate Hirate and nearly put them both out as they got to Lisboa, leading to a general sort out of the order. Just for good measure, Fabio Carbone (Three Bond Racing) pitted with a puncture, just as the Safety Car was scrambled. There was wreckage everywhere! Daisuke Ikeda (EMS Racing), Stephen Jelley (Raikkonen Robertson Racing) and Jonathan Kennard (Alan Docking Racing) all took advantage of the hiatus to nip into the pits, in Jelley's case for a damaged front wing (he was forced onto the kerb at Mandarin Bend on the first lap). He had been planning on staying out, but the Safety Car provided the ideal opportunity to replace the damaged part without too severe a loss of time. Eventually they settled in behind the Safety Car for what was probably going to the long haul. 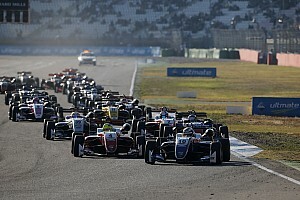 At this point, Conway led from Hirate, Adrian Sutil (TOM's), Nakajima, Kodai Tsukakoshi (Prema Powerteam), Richard Antinucci (ASM Formule 3), Sebastien Buemi (Carlin Motorsport), Kimball, Oliver Jarvis (Carlin Motorsport) and Romain Grosjean (Signature Plus). James Jakes (Hitech Racing) was an impressive 11th, ahead of James Winslow (ZAP Speed), Kobayashi, Mauro Massironi (Ombra Racing), Kazuya Oshima (TOM's), Vettel, Roldan Rodriguez (Hitech Racing), Robert Streit (Prema Powerteam), Maro Engel (Carlin Motorsport) and Yelmer Buurman (Fortec Motorsport). Michael Ho (Ombra Racing) led the local boys, from Cheong Lou Meng (Alan Docking Racing), with an aggravated Asmer right behind them, then Lei Kit Meng (Swiss Racing Team), Jo Merszei (Swiss Racing Team), and the pit-lane visitors Kennard, Jelley, Ikeda and Carbone. And so they continued from the end of lap 2 for what seemed like forever, but was actually just three laps. At the restart Conway showed class, controlling things nicely and blocking in just the right place at Lisboa so that Hirate couldn't gain any advantage there. It was just as well because behind the pair of them, Sutil was coming under enormous pressure from a wildly scrabbling Nakajima. It didn't take the Japanese long to find a way through. Meanwhile, Conway was pushing so hard he glanced the barriers, collecting a coat of paint and deciding that maybe he'd better be a bit more cautious if he wanted to win. Still at Lisboa, meanwhile, Kimball skittered off into the barriers on the debris, and had to pit for new tyres. Surprisingly, there weren't more cases like that, given the amount of debris that the impressively efficient marshals simply couldn't remove. There was a brief outbreak of waved yellows as the American got back underway, but it was only brief. This was just as well. 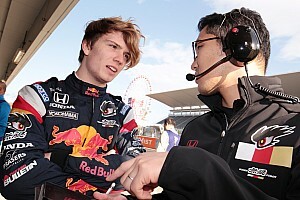 By the time they came round again, Hirate had caught Conway and was trying whatever he could think of to pass the Englishman, but Conway looked like he could absorb anything anyone could throw at him if that was what it took to win this race. Then the squabbling pack chasing 3rd arrived at Lisboa three abreast, an untenable position really. When realisation hit, Nakajima ended up outbraking himself which let Sutil back through, and Antinucci simply followed. The American was on a charge, wanting to end his F3 career on a high. He hadn't come here to finish 2nd. Only a win would do. He was right with Sutil a lap later and had clearly decided that this was his big chance. He pushed hard into the corner, sold the TOM's driver a dummy and scrabbled through on the outside in an edge-of-the-seat piece of driving. It was very impressive indeed. 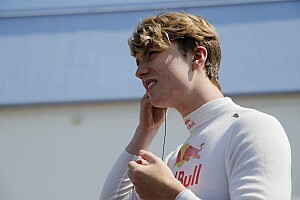 Elsewhere in the top ten, Jarvis had run into trouble and was slipping back, the Honda engine showing signs of distress. First Grosjean came past, and then Kobayashi who was trying to recover ground. With the thing getting sicker and sicker, Jarvis slipped back into the clutches of Jakes, and could do nothing to save himself. 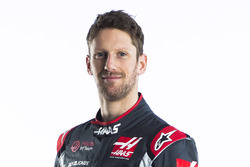 He would end the race parked along the pit straight with a dead engine, unable to complete the slowing down lap, which caused the team some confusion until someone looked over the pit wall and spotted him there. Meanwhile, at the front the gap had now opened up a bit, though the third place scuffle remained as intense as ever, Buemi and Nakajima both joining in, the Japanese giving the barriers on the inside a gentle kiss, which gave Buemi the chance to get through on the next lap. Sutil was now all over Antinucci, who was resisting for all he was worth, setting the fastest lap of the race so far in his efforts to stay ahead. The trouble was he was now bottled up behind Hirate and couldn't quite get the drop on him. Inevitably, the opportunity came at the Lisboa, where there had been a brief outbreak of yellows yet again, with Ikeda getting in slightly wrong and Jelley nipping through as the Japanese slid wide. The flags were hauled back in just before the leaders arrived for another lap. Antinucci decided to go for it, and in yet another impressively ballsy move, he was through to claim 2nd as we began the final third of the race. There was action further down the field too. Streit had been pushing hard, and set the new fastest lap of the race, but then lost it all at Lisboa, when Kobayashi got it all wrong and spun away his recovery drive. It really was turning into one of those days. While all this was going on, Vettel was still charging through the pack like a man on a mission. With a handful of laps left to go he was up in 10th behind Jarvis and Jakes, and as Jarvis was in trouble it didn't take him long to get through. There was trouble in the Manor camp too, with Hirate suddenly losing ground. The next thing he knew, Sutil had towed past him as if he was standing still, the German claiming the final podium place after an impressive drive, though there were suggestions that he might have jumped the start. Conway was busy lapping the back-markers now, and wasn't finding it easy as the local drivers tend to slow down dramatically if they see a yellow flag, which allows the chasing pack to catch up faster than you would like if you are the one being chased. Unfortunately, there were more of those pesky yellows before we got finished. Tsukakoshi made a serious nonsense of Fisherman's Bend, and ended up nose first in the barriers, which put a stop to any thoughts of overtaking that Antinucci might have been harbouring at that point. It was frustrating for the American, but Conway probably wasn't about to complain. No sooner was that mess cleared up than Hirate went off round the back, and on the last lap of all, Vettel hurled it into the scenery, thus scuppering what had been a most impressive effort, even if it did involve a jumped start. It probably made Buurman and Engel's joint charge up the order to 8th and 9th respectively the most impressive results, though all eyes were on Conway at this point as he came home to a well-deserved victory. Antinucci was spectacular in 2nd, from Sutil, Buemi, Grosjean, Jakes, Oshima, Buurman, Engel and Carbone. 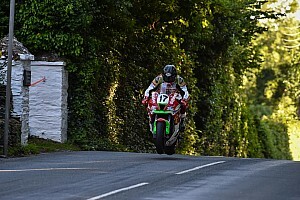 Jelley claimed 11th, ahead of Winslow, Asmer, Massironi, the stricken Jarvis, Kennard, Rodriguez, Ikeda and Kobayashi. Ho was 21st, from Kimball, Cheong, Vettel, Streit, Merszei, Lei and Hirate. Fastest lap of the race went to Streit, in a time of 2:12.527.